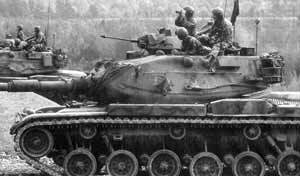 The M60A3 (development designation M60A1E3) is a product-improved M60A1 and some of the improvements in the tank, for example the add-on stabilisation system, the RISE engine and the smoke grenade launchers, were first fitted to the M60A1 some years ago. 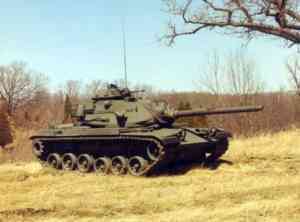 The first M60A3s completed at the Detroit Arsenal Tank Plant in February 1978 were the first of a low rate of initial production quantity of 296 M60A3s which were funded in the FY76 transitional quarter and FY77. 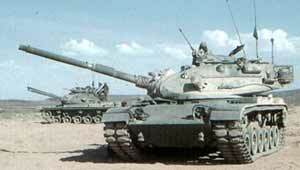 In 1978, the M60A1 monthly production rate was 116 tanks at Detroit. The Army had 5,400 M60A3 TTS tanks, 1,686 of which are new production M60A3s, 114 are M60A1 passive tanks field-retrofitted to M60A3 TTS configuration, and 3,600 are conversions carried out by the Mainz Army Depot in Germany and Anniston Army Depot in the USA. 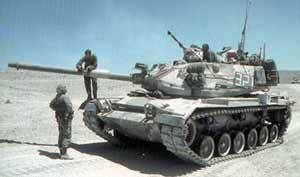 In January 1983, Saudi Arabia placed an order for 100 M60A3 MBTs at a total cost, including spares and other support equipment, of US$176 million. 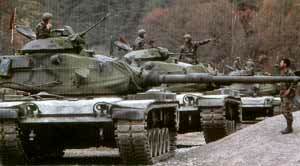 In 1987 it ordered 150 conversion kits to convert M60A1 tanks into M60A3s at a cost of US$120 million. 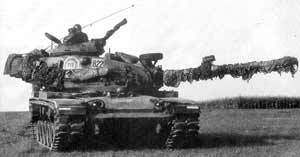 These conversions included the installation of a Tank Thermal Sight (TTS). The main improvements are in the fire-control system. A Raytheon Systems Company laser range-' finder with a maximum range of 5,000 m replaces the optical range-finder and a solid-state computer replaces the mechanical computer. 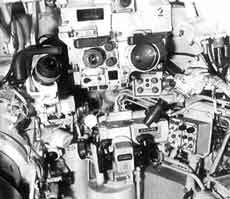 Following successful trials with 20 prototype units, Raytheon Systems Company was awarded its first production contract for the laser range-finder in 1976. The contract was for 69 units at a total cost of US$11 million. Range data are fed to the computer and, with other data such as crosswind velocity, air temperature, gun trunnion tilt, air density, altitude, target tracking rate and ammunition ballistics, provide the correct azimuth and elevation firing commands to the tank gunner and commander. 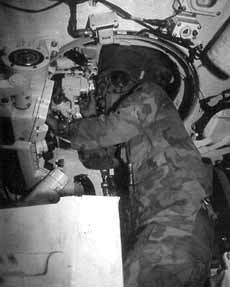 The modifications to the fire-control system, combined with the passive night sight, improve the night-fighting capabilities of the tank. The Raytheon Systems Company fire-control system is composed of two major subsystems, the AN/WG-2 laser range-finder and the M21 ballistic computer system. The laser/sight subsystem is composed of two main units: a commander's integrated laser/sight with control unit and a laser electronics unit. Range may be fed automatically to the computer or, if more than one return is received, the commander may select the range return based on his assessment of the situation. 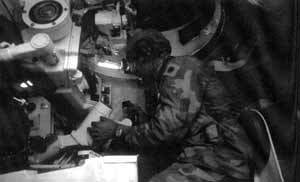 Since the gunner's sight is boresighted with the laser range-finder, either the commander or the gunner can fire the laser and/or the gun. 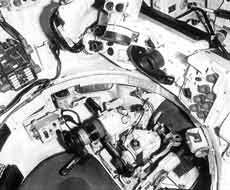 The computer subsystem includes the ammunition selector sensors. 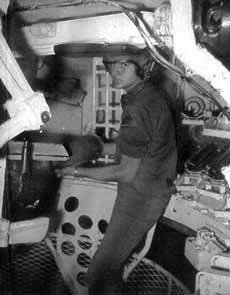 The commander or gunner may select one of the four basic types of ammunition to be used. The computer stores solutions for six ammunition types with the four basic types to accommodate ammunition stored in different locations. The switch at the bottom of the ammunition select unit is used to set up conditions according to whetherthetank is moving or stationary. The computer is a solid-state hybrid and processes all the input data and commands the sightlines for laying the gun. The top half of the gunner's control unit panel contains three manual inputs: air temperature, pressure altitude (slowly varying inputs, not required to be very accurate) and manual range in case the laser fails. The rate unit, crosswind sensor and the cant unit are automatic. 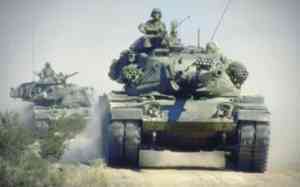 The rate unit is used against moving targets from a stationary tank. 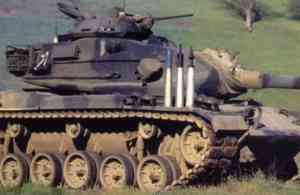 When the tank is moving it is switched out and replaced by input from the gun stabilisation system gyros, since inertia! tracking rates are required. The crosswind sensor can be stowed horizontally and is spring-mounted to prevent damage when the tank encounters low branches. Since it is the only unit not under armour, a circuit in the computer continuously monitors its output and can switch to manual input in the event of a failure. The cant unit senses gun trunnion roll. 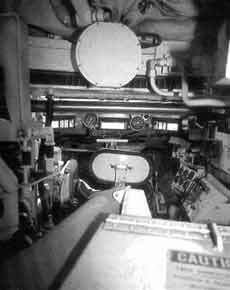 A row of lights on the top of the gunner's control unit is for self-test. Either'a green 'System OK' light is lit, or a light comes on indicating which unit is faulty. A red light indicates failure of the system and an orange light indicates that the system will continue to function, but less accurately. This self-test system removes the troubleshooting burden from the tank crew, and replacing system units in the field is simple. 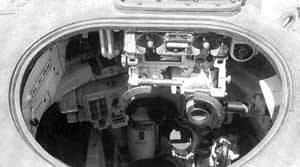 The bottom half of the panel, which is normally covered, is used for boresighting, zeroing, manual crosswind input (if desired) and the switch to select the four basic ammunition types. 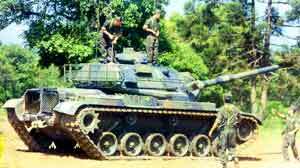 At the beginning of FY80, AN/VGS-2 Tank Thermal Sights (TTSs) were added, which not only improved the night fighting capability of the tank but also enabled the tank to see through smoke and ground cover. 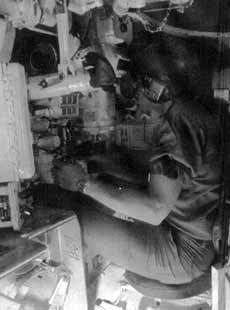 The AN/ VSG-2 thermal imaging equipment replaced the gunner's passive night vision periscope. (15) Automatic Halon fire extinguishing system. 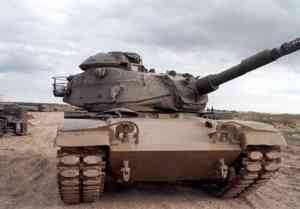 * also fitted to late production M60A1s. 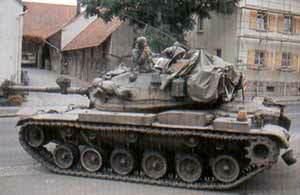 New production M60A3s were fitted with an engine exhaust smoke system and older tanks retrofitted. Fuel is sprayed into the exhaust manifold, creating smoke. TACOM and General Dynamics have developed an improved air filtration system for the M60 series called the Vehicle Exhaust Dust Ejector System (VEDES) which was retrofitted to the fleet starting in late 1984.